Prices will vary slightly between breeders and is usually based on the treatments their kittens leave with ie how many vaccinations already done, if the kitten has been desexed for you before leaving for its new home or if you will have to pay to have that done separately yourself. Please note: Only Birman Cat Club members are listed in the kitten classified section. They are obliged to abide by the Code of Ethics they agreed to on becoming a member. The Birman Cat Club of Queensland is not responsible for any purchase the public may make via this service. However, if you are not happy, we would like to know. We have one very lovely Blue point girl available for adoption she will be desexed fully vaccinated wormed health checked and pedigree papers included We also add a kitten care pack and 6 wks free pet insurance. If needed flights can be arranged. Please get in touch for more information on her. 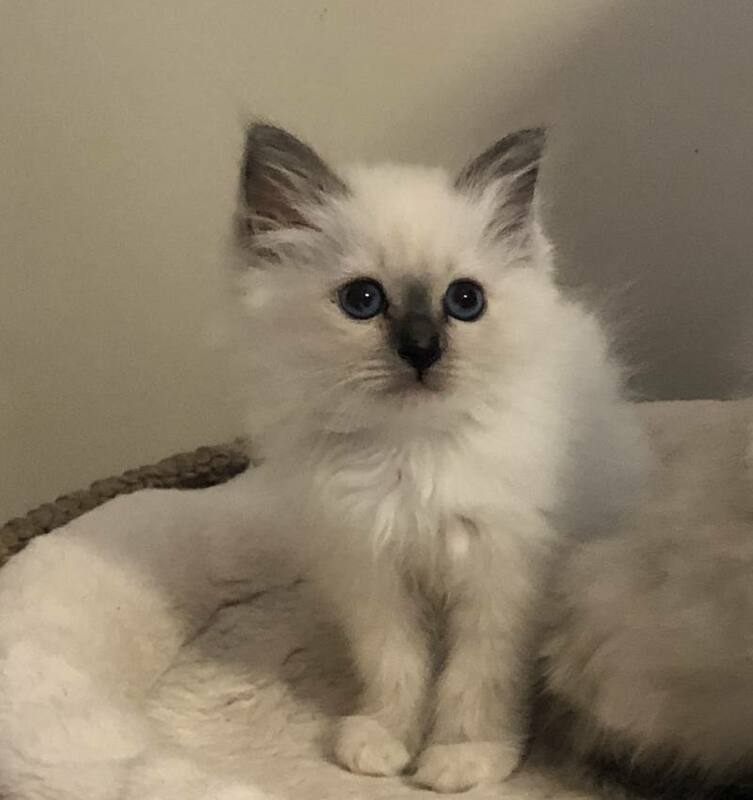 We have a cream point female Birman kitten born 25 October 2018 available. Her sire is our stud Kucinta Prince Artemis (winner 'Supreme Birman' at the 2017 Brisbane Birman show) and her dam is our queen Feanor Caerita. Our kittens are indoor only cats, and have been raised entirely within our home. They will come microchipped, de-sexed and vaccinated, and registered with FCCQ. We live in west Logan city just south of Brisbane, and invite any prospective buyers to come visit the kittens and their mother and father. We will have a red point male Birman kitten and a seal tortie point female Birman kitten available from 20 May 2019 when they will be 12 weeks old. Their sire is our stud Kucinta Prince Artemis (winner 'Supreme Birman' at the 2017 Brisbane Birman show) and their dam is our queen Feanor Caerita. 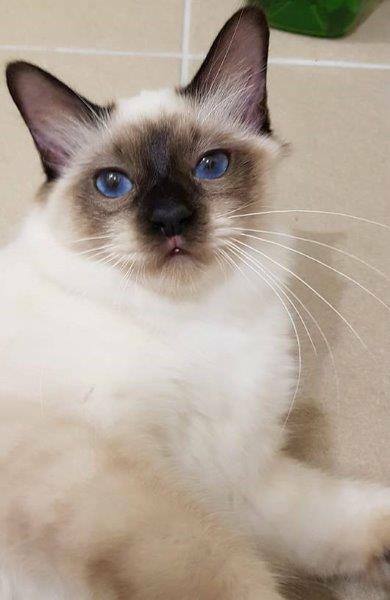 Dreampoint Yin of Chi-Ling (Chi-Ling) is a 7 month old seal point desexed Birman girl, looking for her forever home. Due to a change in our breeding program we have decided to desex Chi-Ling and find her a wonderful home. Chi-Ling is desexed, microchipped, had 3 x F3 vaccinations, litter trained, regularly flea and worm treated. Chi-Ling was born on 6 September, 2018, and has been raised in our home with other cats and kittens and our dog. Chi-Ling can be a little head strong in ensuring she gets what she wants but she is a very loving girl with a fantastic purr and stunning blue eyes. If you think you might be able to provide Chi-Ling with her forever home please contact me for more details.